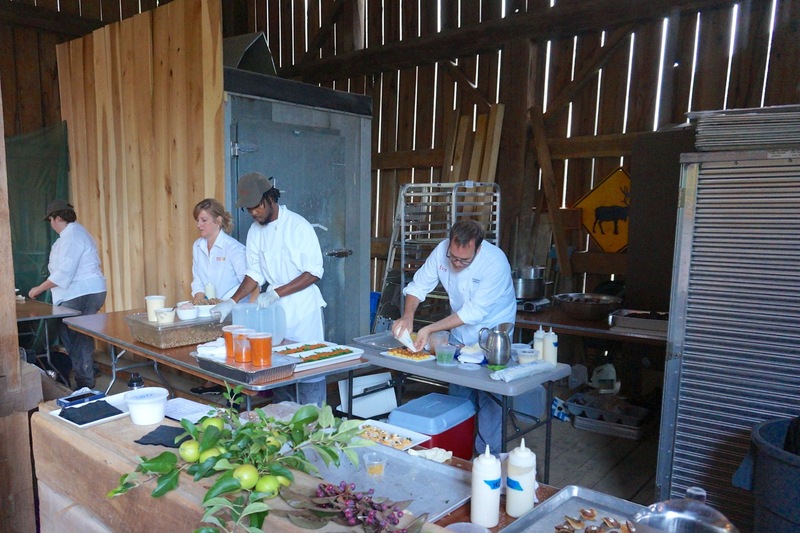 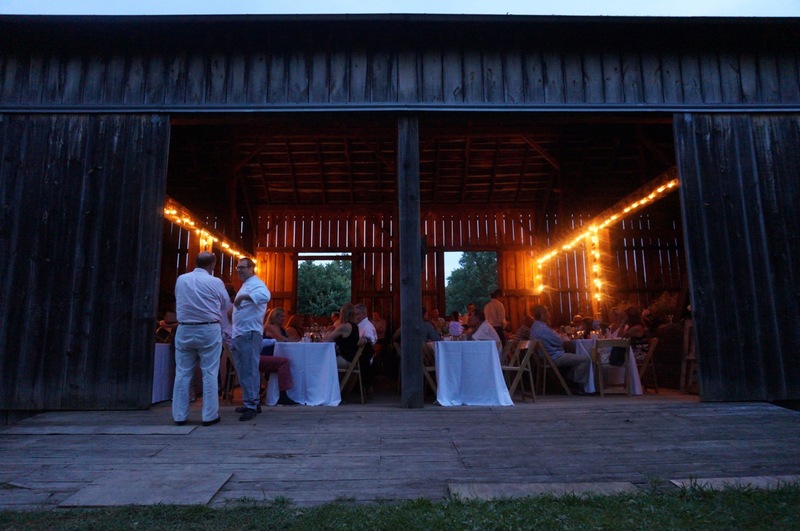 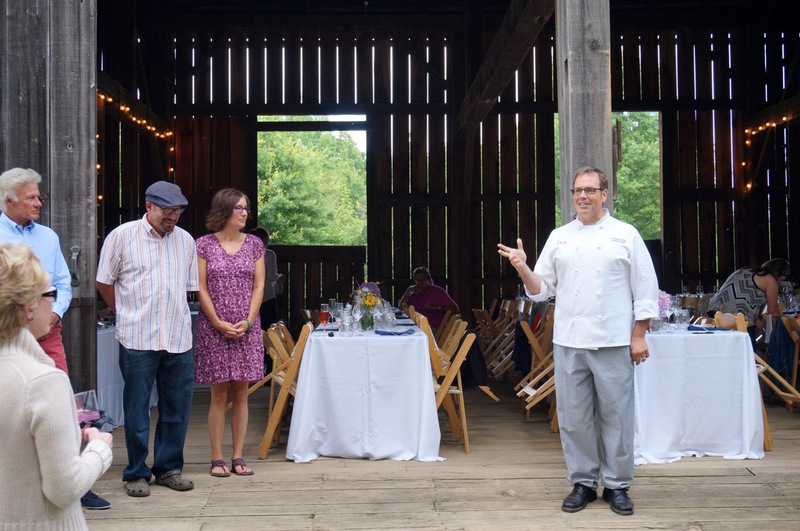 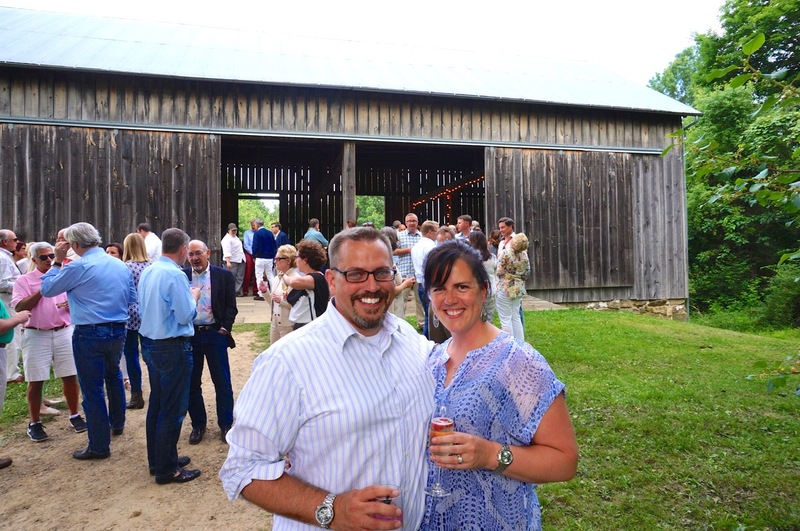 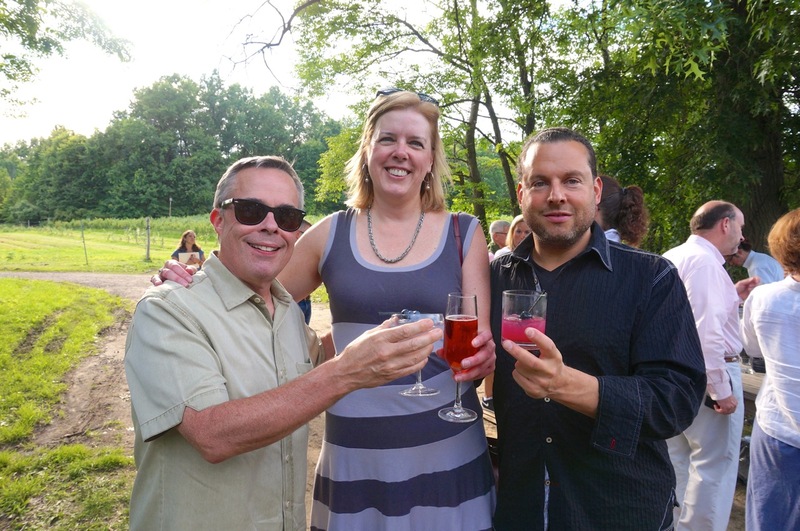 I had the wonderful fortune to attend a culinary event this week in the Cuyahoga Valley National Park that has been on my summer bucket list for a few years now. 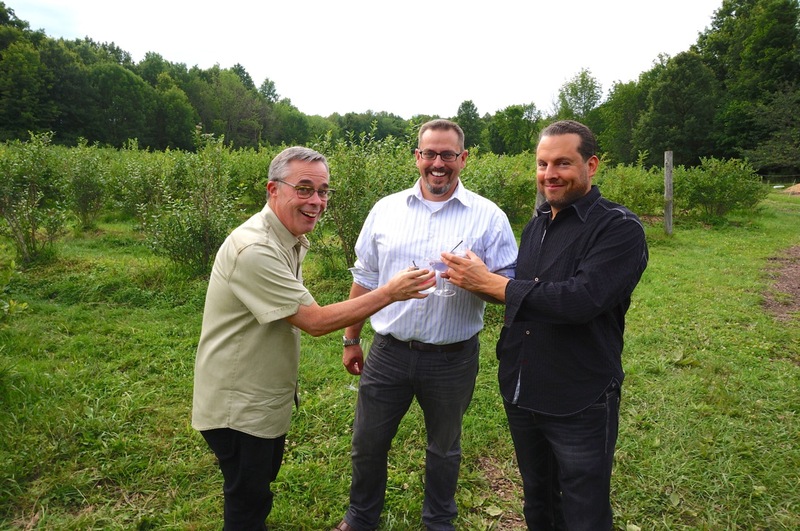 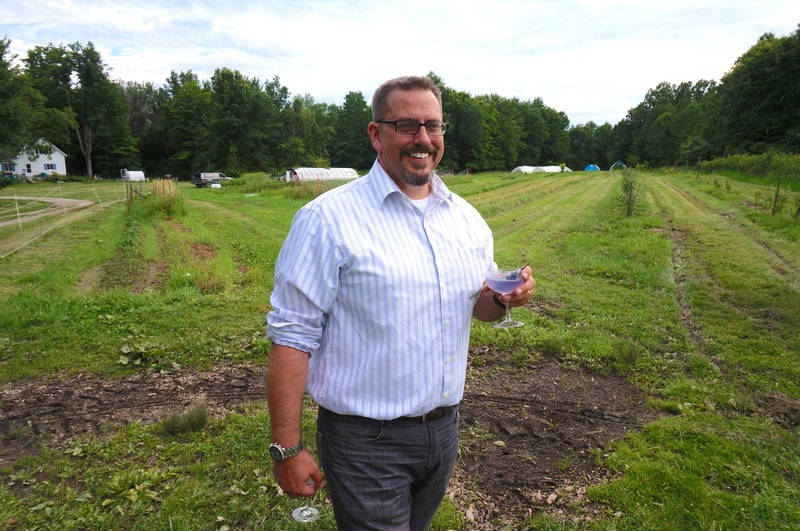 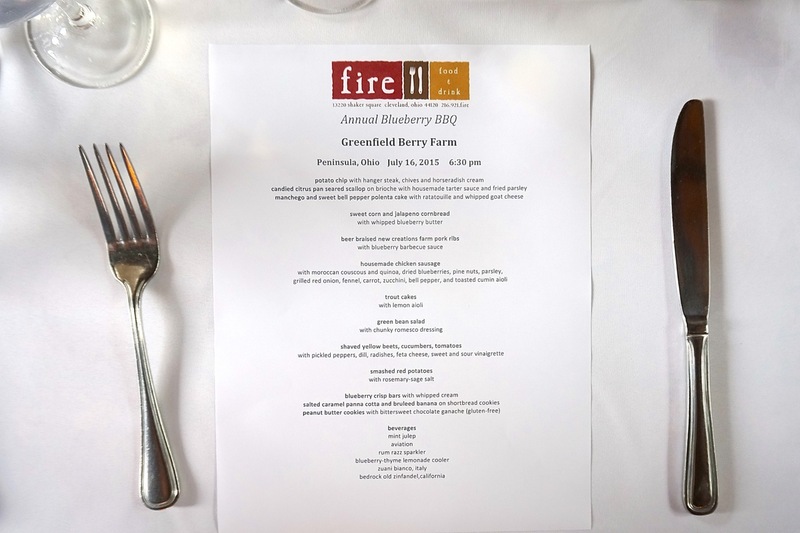 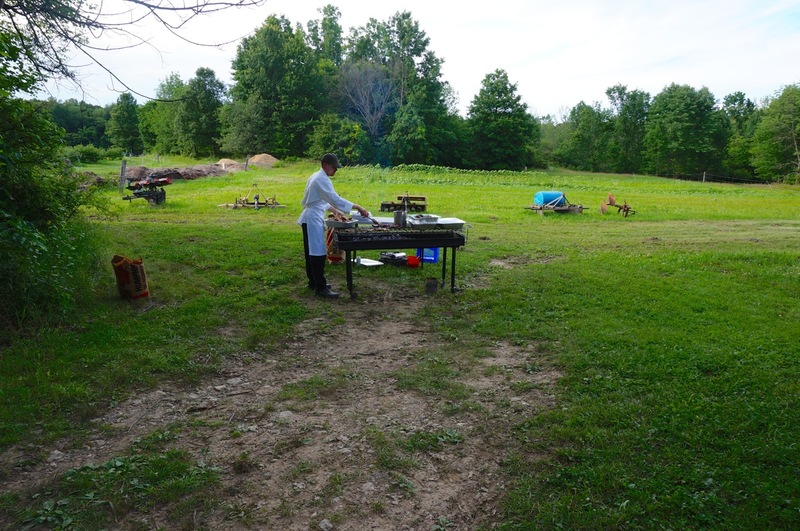 It’s called the Blueberry BBQ and is co-hosted by Chef Douglas Katz of Fire Food and Drink in Shaker Heights and Dan and Michelle Greenfield of Greenfield Berry Farm in the Cuyahoga Valley National Park. 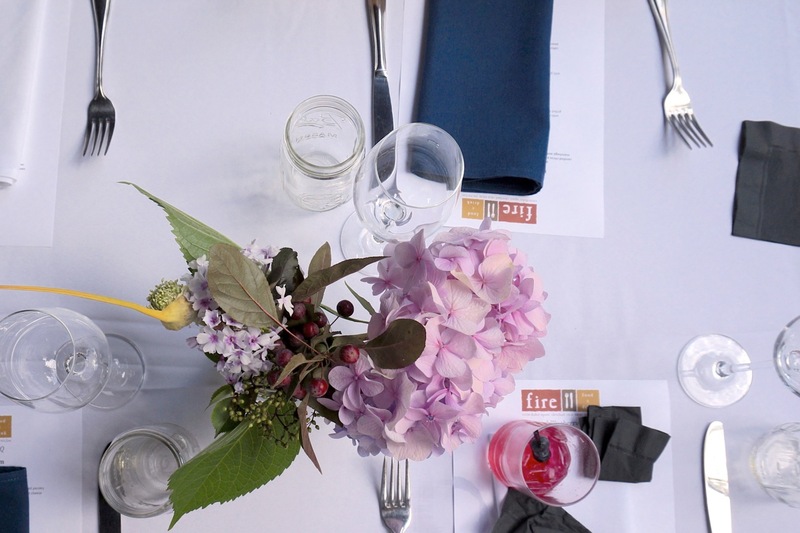 The event showcases the blueberry in a multi-course meal enhanced by craft cocktails honoring the berry as well. 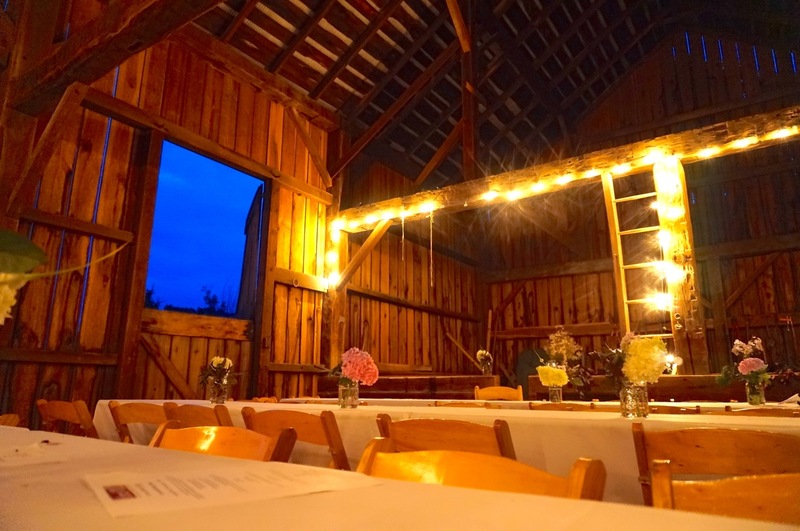 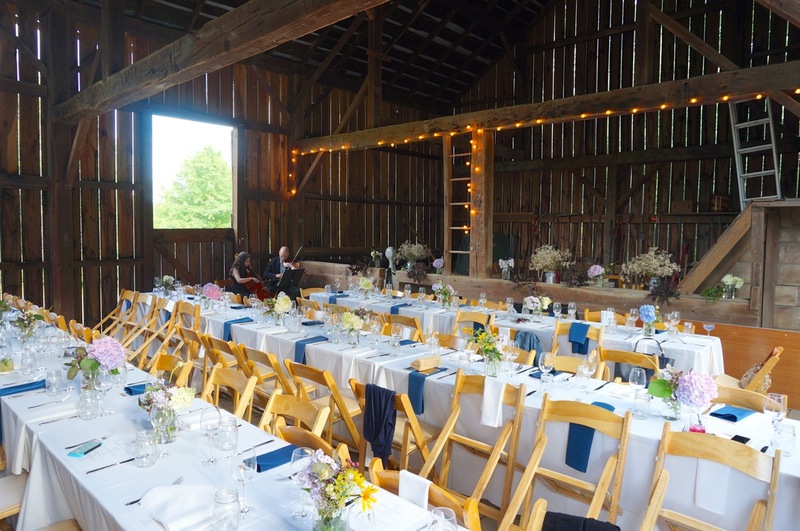 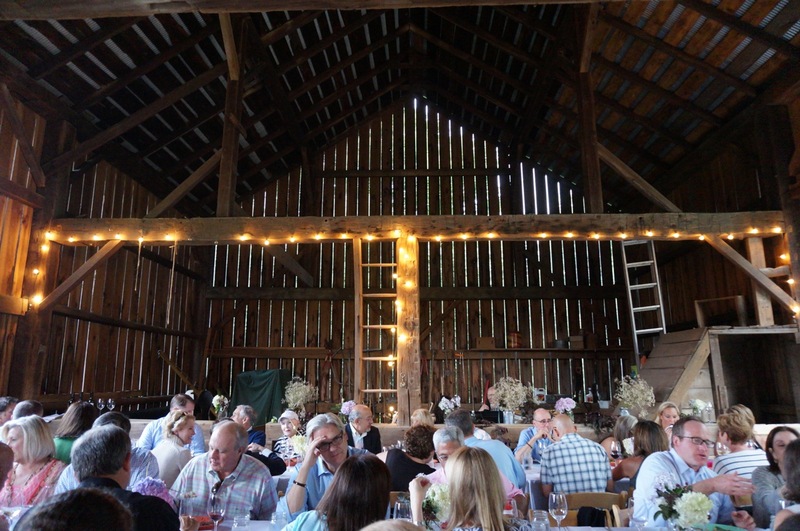 And the setting is the berry farm itself with its acres of berry fields and historic rustic barn, a perfect backdrop to compliment a delicious meal. 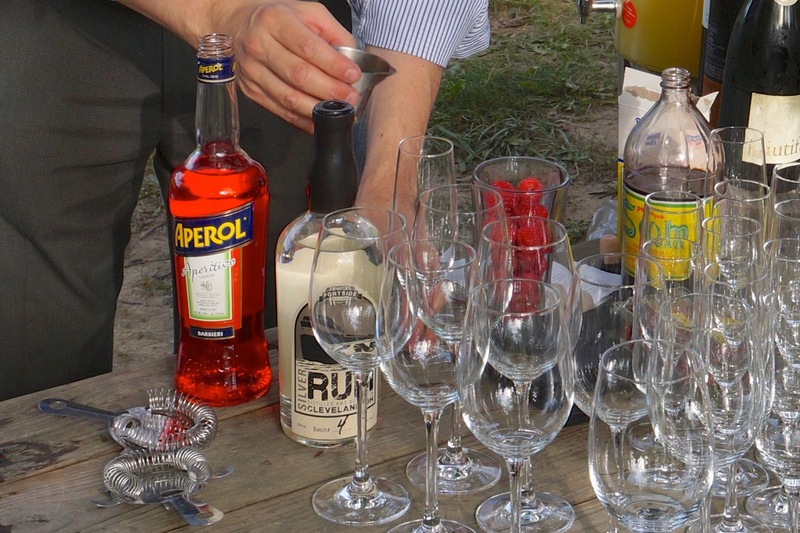 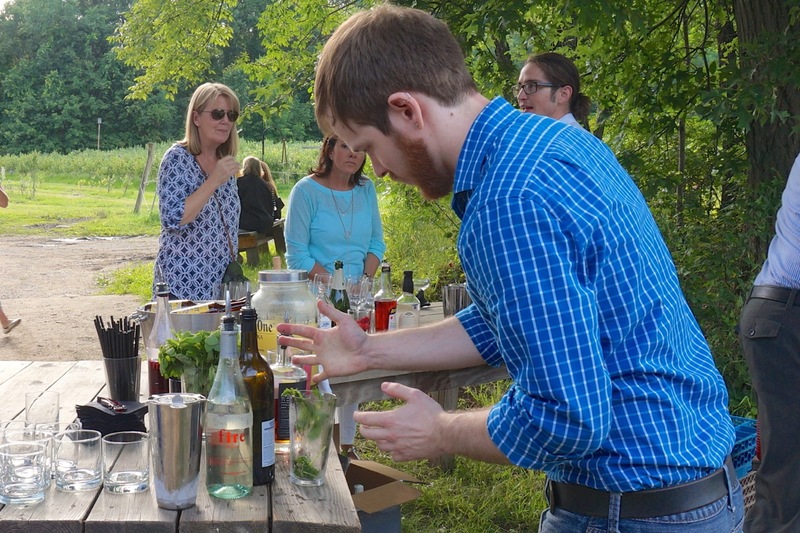 Add the gin, lemon juice, maraschino liqueur, and crème de violette to a cocktail shaker filled with ice. 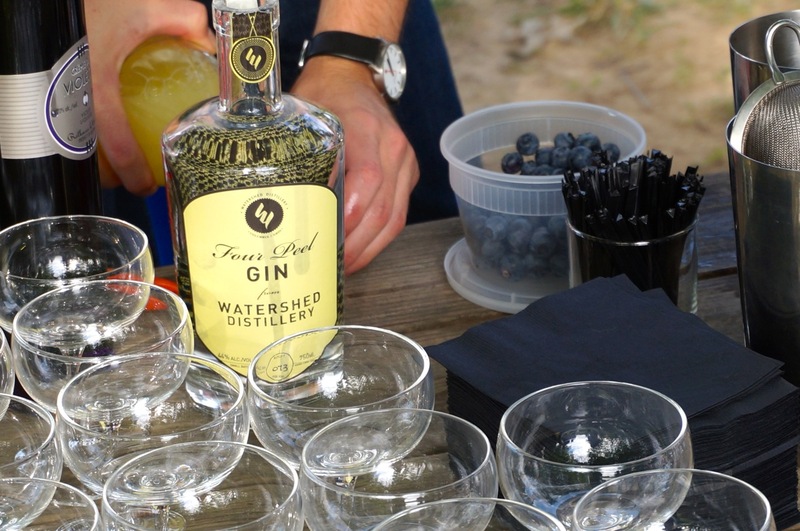 Shake until thoroughly chilled, strain into a coupe glass, and garnish with the blueberries. 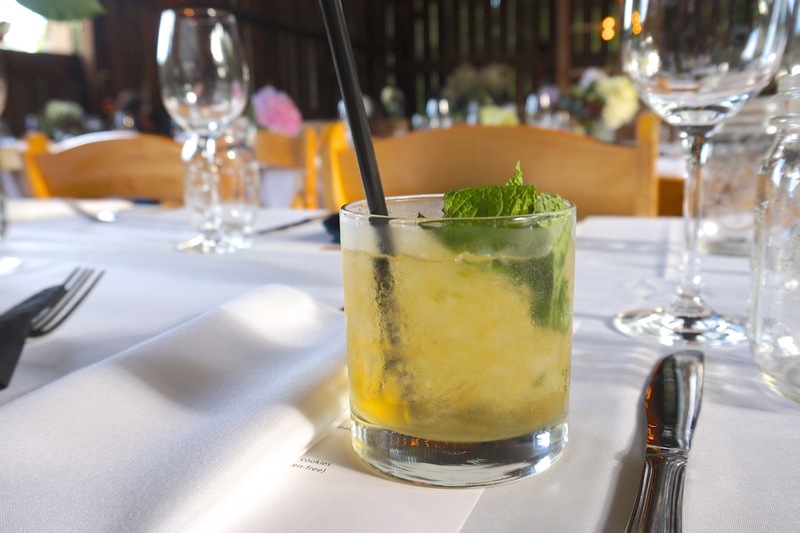 The cocktails were delicious and served alongside appetizers like potato chip with hanger steak, chives and horseradish cream or candied citrus pan seared scallop on brioche with housemade tarter sauce and fried parsley. 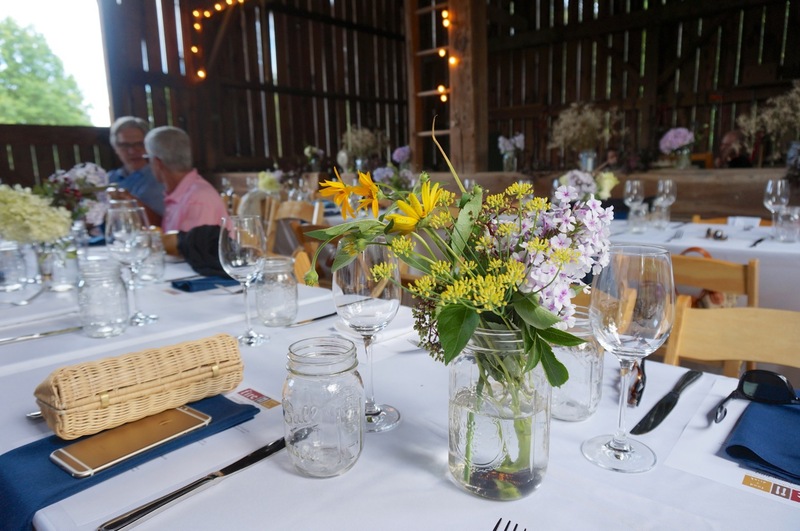 And the barn setup for dinner could not be more beautiful with simple fresh flower arrangements and rustic mason jar glassware. 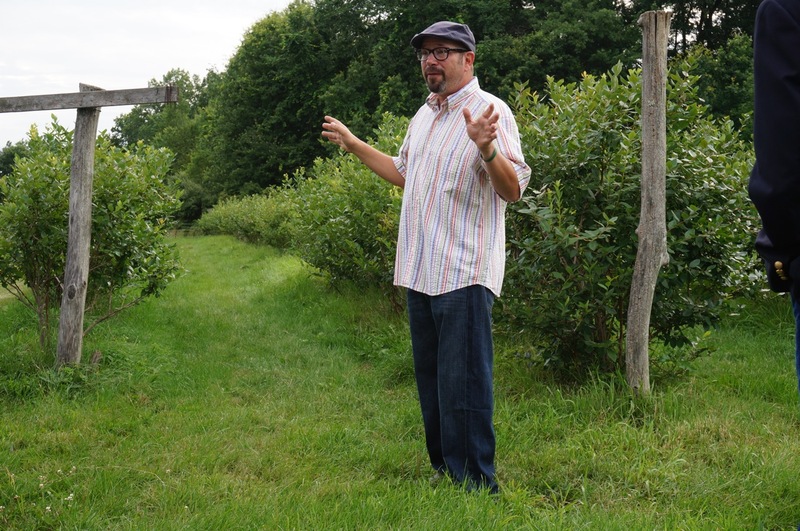 Before dinner, Doug spoke about the history of the Blueberry BBQ and the setting of Greenfield Berry Farm and the Countryside Conservancy organization, followed by a talk given by Dan in the blueberry fields themselves. 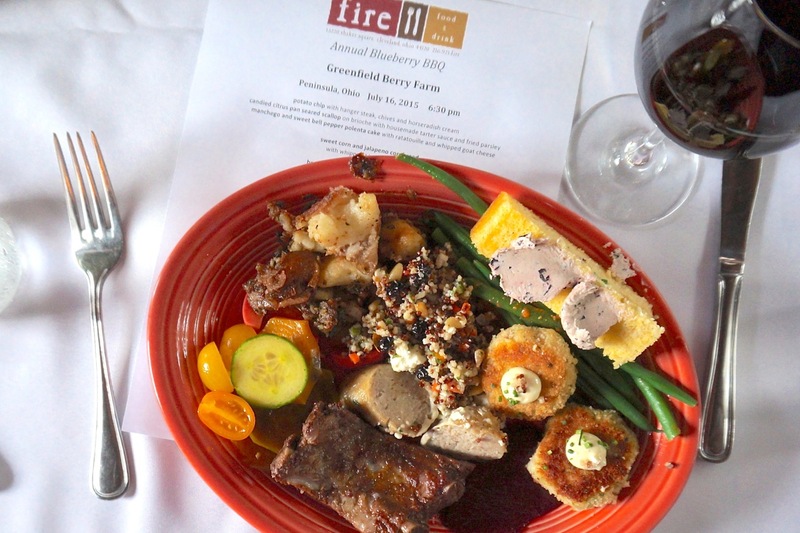 housemade chicken sausage with Moroccan couscous and quinoa, dried blueberries, pine nuts, parsley, grilled red onions, fennel, carrot, zucchini, bell pepper and toasted cumin aioli – I could have just eaten this and been VERY happy! 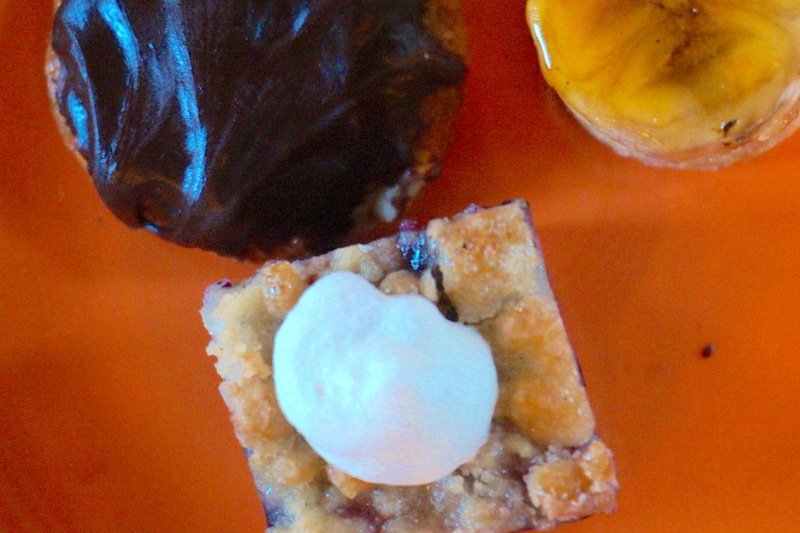 Dessert was a delicious trio of blueberry crisp bars with whipped cream, salted caramel panna cotta and bruleed banana on shortbread cookies, peanut butter cookies with bittersweet chocolate ganache (gluten-free) – the blueberry crisp bars were my favorite! 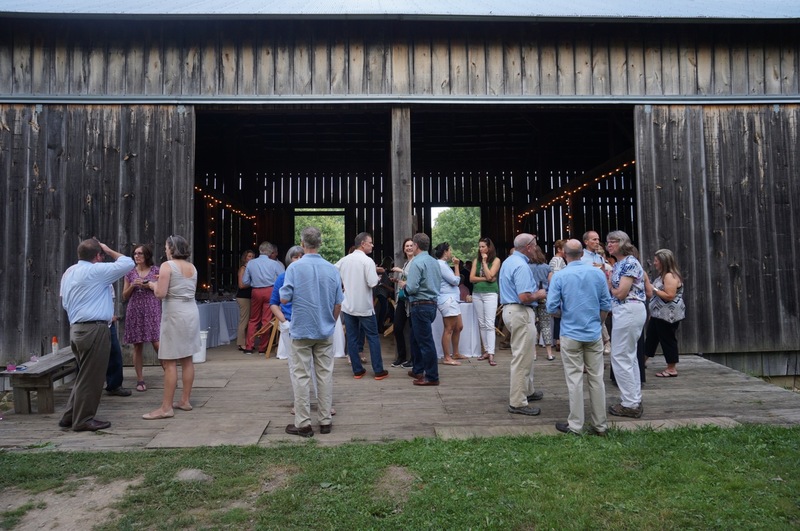 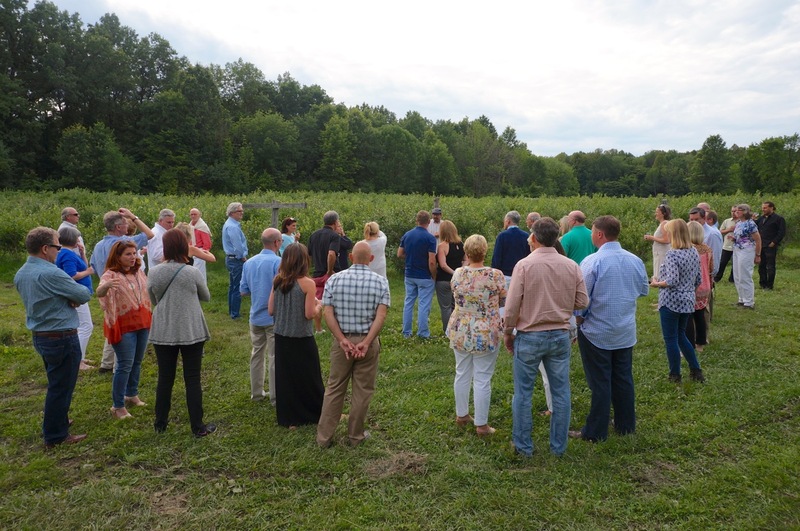 The night was a spectacular blend of delicious drinks, food, and company all in a setting honoring the Cuyahoga Valley, its history, and its bounty. 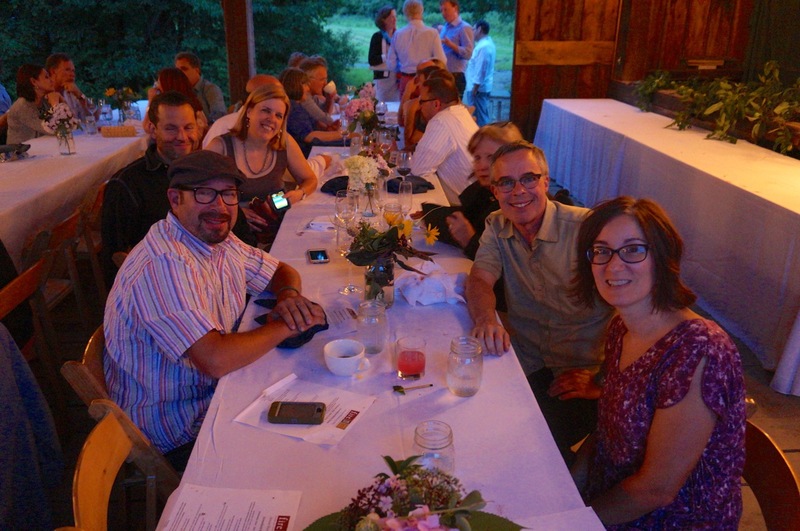 Thanks to Doug and Dan and team for a great evening!